I rather says, that this dish is quiet simple. and love the sweet sambal taste in it. 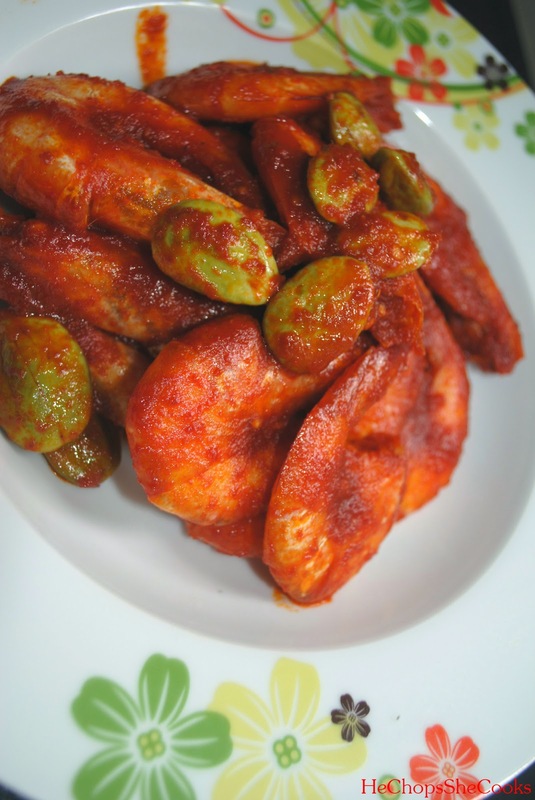 You gotta try it to experiences the flavors of petai. 1. Mix all the ingredients for the paste into the food processor and give a good whisk. 2. Heat up the wok with the cooking oil and add in the paste. Cook until it brings out the flavors and when oils separates. 4. Add in the sugar and salt to taste. Serve with warm rice. 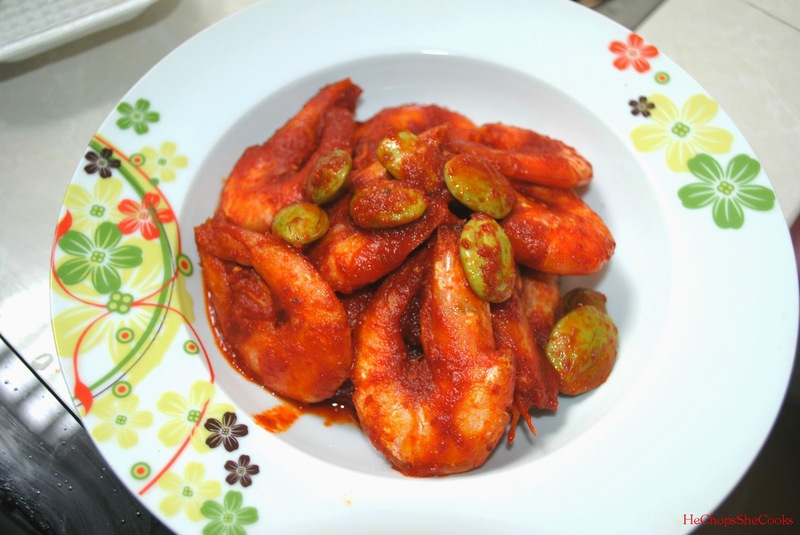 How not to love petai and udang together. I can finish off the whole serving any time.